An Ideal Solution: Creates a safer more stable experience on all surfacesglide over tile, brick, wood or concrete. Love the great outdoors? Walker Buddezz makes maneuvering over grass, walkways and thresholds a cinch. Developed by physical therapy professional Chad Dollarhide to make walkers more user-friendly, these unique glides outperform traditional solutions like tennis balls and skis that can actually lead to more dangerous falls. Easy to Install: Each set comes with two Walker Buddezz. 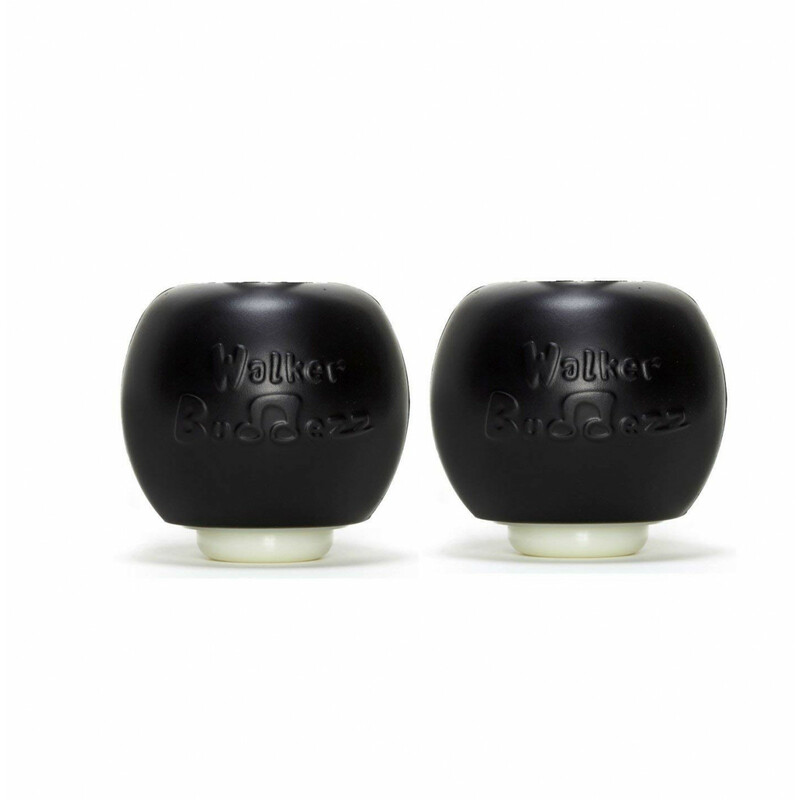 Because Walker Buddezz are designed to universally fit walkers, they are easy to install (no tools required) and operate and offer a durable solution to other problematic aids. With three simple pieces, Walker Buddezz can attach in under one minute. While other products may be frustrating and tedious to attach to your walker, Walker Buddezz are incredibly simple and work with the mobility walkers design. Walk Safer: Once attached, Walker Buddezz allow you to move in all directions, turn, and maneuver over hazards like rugs or cracks in cement, making it easier and safer to go about your daily life. They even keep you stable on wet surfaces or outdoors. Keep moving day after day, as Walker Buddezz are made from durable materials that are meant to withstand usage. They don't wear down, they don't chip, and they don't rip like other products. Created for You: It is estimated that 20-30 million people use walkers in the United States. Walker Buddezz was invented by a physical therapist with an unrelenting passion to help people with mobility issues. This product has been tested over 2 years with clients at hospitals and rehab facilities and has three patents pending. Add Some Fun: One thing Chad Dollarhide noticed about walker users, was their tendency to want to personalize their spaces and keep their loved ones and momentos close. Walker Buddezz makes this easy, you can personalize your Walker Buddezz glides with Walker Buddezz SKNZZ, which attach easily to your mobility device and add whimsy and a conversation piece as you go about your life. Say goodbye to walker anxiety with the revolutionary Walker Buddezz glide system. Walkers shouldnt limit your ability to get around, but the threat of dangerous and embarrassing falls is real. Rubber caps, tennis balls, skis and other attachment solutions often don't fit or work properly. Walker Buddezz are made to fit on standard and two-wheeled walkers, and are easy to install with no tools, making mobility instantly easier and safer. 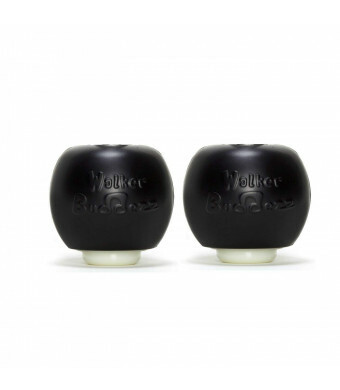 Walker Buddezz was the innovative idea of Chad Dollarhide, the creator and founder of the company. The initial idea came after spending years working in the physical therapy arena, and witnessing the horrible aftermath that slips and falls created. These issues made many patients bound to using mobility devices that were difficult to push and hard to maneuver, creating their own dangers to the patient. After researching the problem and creating many prototypes, Dollarhide created Walker Buddezz, allowing patient's to move in any direction and over most surfaces, including wet floors, outdoors, and traditionally difficult areas for walkers. To add fun and whimsy, each set of Walker Buddezz glides can be customized with Walker Buddezz SKNZZ products. It is Walker Buddezz' sincere hope that you enjoy these products and feel all the love that went into creating them.